It may sound like the setup for a superhero drama, but veterinarians from the Cummings School of Veterinary Medicine are teaming up with the Catmobile for a one-day Super Clinic in which they hope to spay more than 100 cats from throughout Worcester County. 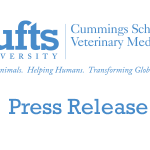 The so-called Super Clinic will be distributed among three surgical sites on the campus—the Luke and Lily Lerner Spay/Neuter Clinic, the on-campus wet lab and the Catmobile, the mobile, low-cost spay/neuter unit run by the Merrimack River Feline Rescue. Fourth-year veterinary students will perform the surgeries under the supervision of faculty veterinarians. Led by Emily McCobb, DVM, director of the school’s Shelter Medicine Program, at least six veterinarians, more than 30 students and numerous community volunteers, led by Elizabeth Evans and Nancy Meyer, will participate in the effort, which includes trapping stray cats over the next two days, then spaying them on Sunday on the Cummings School’s Grafton campus. 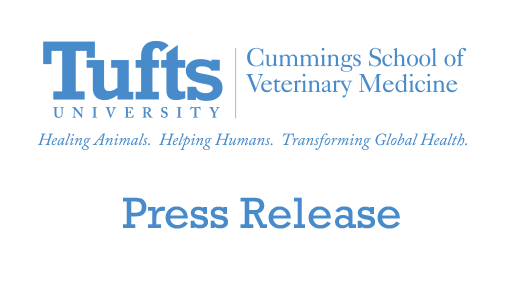 The Tufts Clinics for Free roaming cats target free roaming and stray cats who do not otherwise receive veterinary care. Roughly half of the cats will be rounded up from Worcester’s Main South neighborhood, targeted by the Spay Worcester project as an area with a particular abundance of unaltered stray cats. The balance will be brought in from throughout Worcester County. Cats typically have three to five cats per litter, so the community cat population can grow exponentially, said Dr. McCobb. Spaying 100 cats in a single day will have a marked impact on the feral population in Greater Worcester. The Shelter Medicine Program at Tufts oversees a number of similar efforts, but this Sunday’s clinic is the largest single-day event. Other activities include weekly high-quality, high-volume spay and neuter clinics for local shelters and an annual dental day for shelter dogs. A task force of the Massachusetts Animal Coalition, Spay Worcester was formed to address the large problem of free-roaming unaltered cats in the city. The group is seeking to maximize the impact of spay/neuter efforts by targeting a specific area in Worcester’s underserved Main South area. Task force members include the Cummings School, the Worcester Animal Rescue League, Shrewsbury Animal Control Officer Leona Pease and Karen Powers of Worcester, who chairs the task force. Funding for the Super effort comes from numerous sources. Funding for the Spay Worcester Task Force comes from PetSmart Charities, which provided it with a grant to spay 1,000 cats for the targeted effort, as well as Hopkinton (Mass.) Drug which has been an important partner to the Massachusetts Animal Sheltering Community. The Lerner Clinic also receives funding for its free-roaming cat clinics from the American Society for the Prevention of Cruelty to Animals (ASPCA).